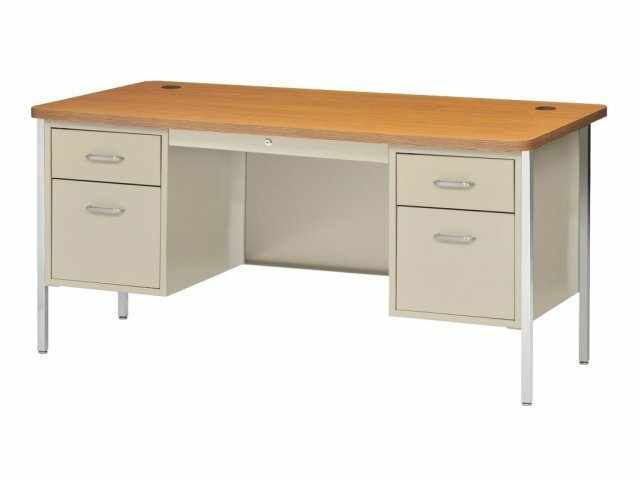 Double Pedestal Metal Teachers Desk 60"x30"
This full size teacher's desk measures 60 inches wide by 30 inches deep. 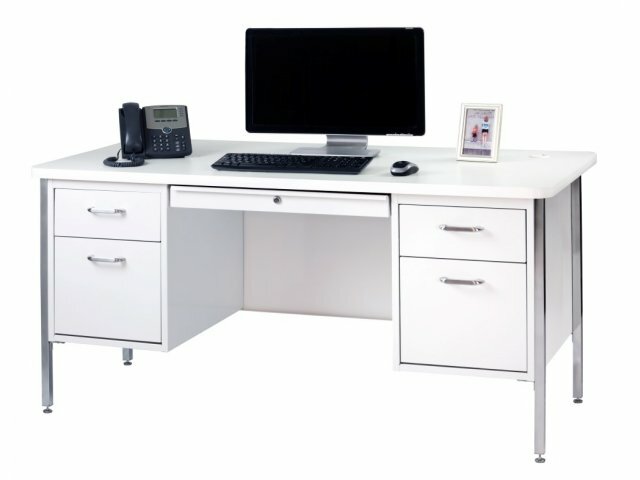 The desk has ample storage room packed into its double pedestal design. One pedestal has three stacked box drawers, while the other has a lockable box drawer and a extra high file drawer (also lockable). 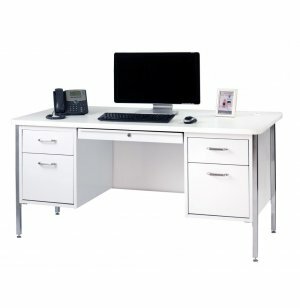 Designed with rounded corners for safety and a tough, scratch-resistant laminate top, these desks are easy to clean and virtually maintenance free. Heavy-duty, steel construction means that this desk will continue to be a classroom staple year after year. Even when yesterday's kindergarten class has graduated high school, this dependable teacher's desk will be providing service to the classroom.